So, what are your guys favorite weird Evangelion commercials, and sponsored aid pass? 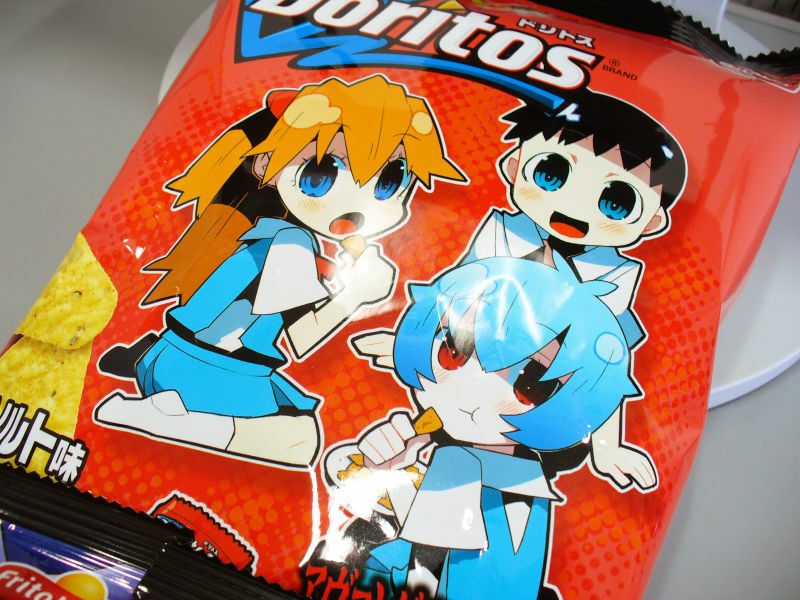 Not exactly a commercial, but I will never get over Petit Eva-style Shinji, Rei and Asuka on a Doritos package. I think the alternate live action sequence is beautiful, especially when at the end Shinji realizes how sad it is to not exist (and he has Anno's voice lol). The best Eva commercial is the one where Gendo causes an Impact by shaving (Shick x Eva). Blockio wrote: Not exactly a commercial, but I will never get over Petit Eva-style Shinji, Rei and Asuka on a Doritos package. kuribo-04 wrote: I think the alternate live action sequence is beautiful, especially when at the end Shinji realizes how sad it is to not exist (and he has Anno's voice lol). I always felt the alt sequence is a nod to the Butterfly Effect in that your place in the world effects people around you very deeply even if its positive or negative and that in truth no one is a lonely island in the ocean as we can all influence people in many ways even if we don't realise it so when Shinji is gone his lack of presence is like a gapping hole for all the characters in different ways. 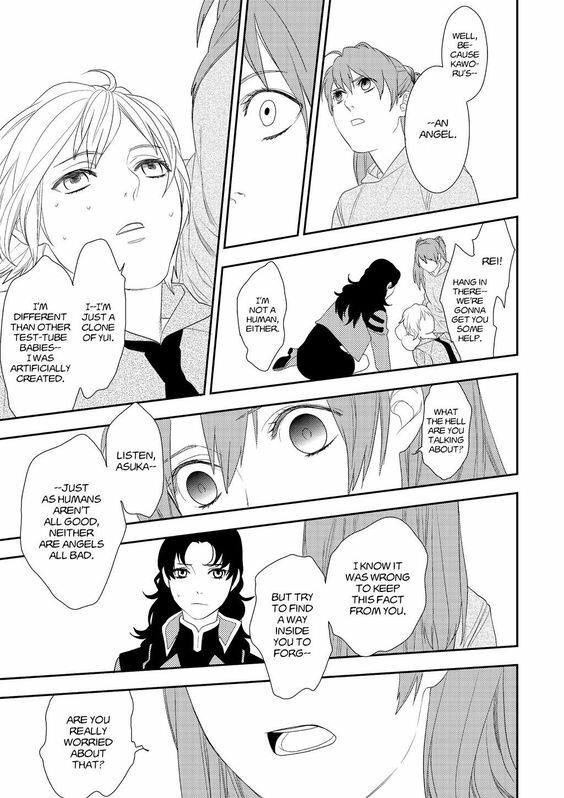 On Rei being Asuka's friend that what I thought to and that is shown in at least three of the spin off Manga's. silvermoonlight wrote: I always felt the alt sequence is a nod to the Butterfly Effect in that your place in the world effects people around you very deeply even if its positive or negative and that in truth no one is a lonely island in the ocean as we can all influence people in many ways even if we don't realise it so when Shinji is gone his lack of presence is like a gapping hole for all the characters in different ways. 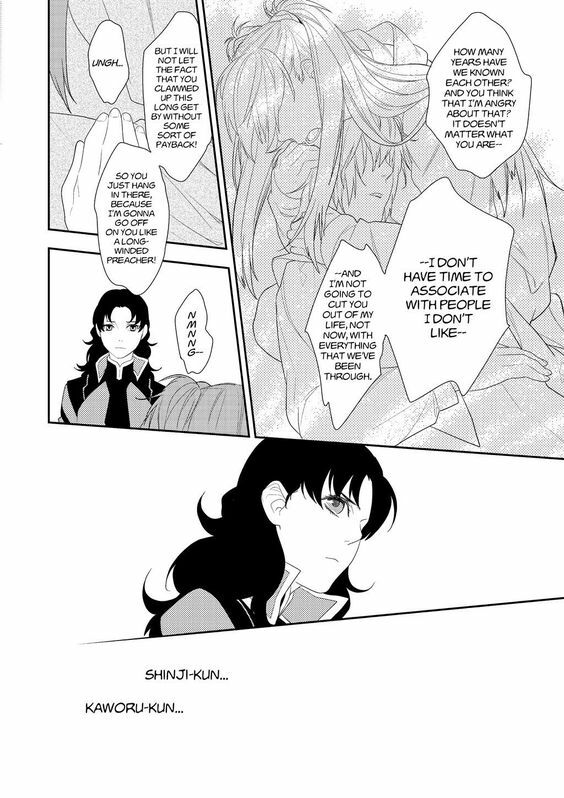 On Rei being Asuka's friend that what I thought to and that is shown in at least three of the spin off Manga's. I agree and yes one of them Girlfriend of steel and the Shinji Ikari rising Manga where they start out as rivals but become friends as the issues progress and both help out Shinji when ever they can.There's also Campus Apocalypse in which some people think they together romantically as Asuka's speech when Rei is badly hurt is really emotional and heartbreaking.